If you’ve got leftover chicken in the fridge this tasty noodle salad can be on your table in no time! Sweetened with mirin, salty with fish sauce and sour with lime juice it’s got a summery, Thai flavour. 1. Prepare rice noodles according to packet instructions. Rinse well with cold water and set aside to drain in a sieve. 2. 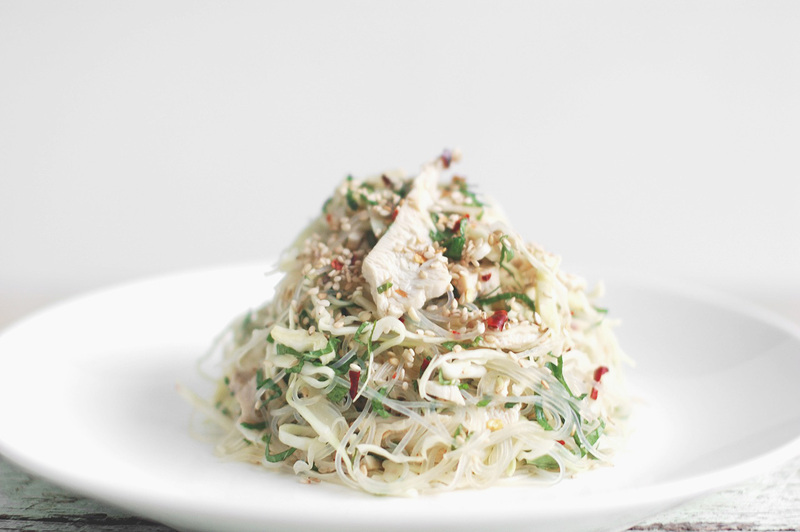 Combine chicken, coconut, cabbage, mint, chilli, most of the sesame seeds and the noodles. Combine remaining ingredients in a small jar and shake vigourously to combine. Add dressing to salad, toss gently with your hands and serve, garnished with extra sesame seeds.